Stunning victory or devastating defeat? Pariah or hero? For Ingve Stjerna the stakes are high. And no less for the European patent community: Stjerna is the man behind the German constitutional court case that has put the UPC on ice. If the judges in Karlsruhe agree with Stjerna, he will be feted by the UPC’s opponents. The story of a lawyer who fights tooth and nail for his cause. One man, one cause: Not much is known about 43-year-old Ingve Stjerna, who sent the UPC into a tailspin with his constitutional complaint in Karlsruhe. If GRUR was a person, then it would be a person so swollen with prestige, tradition – and perhaps a sense of pride – that it would barely fit through the door. But GRUR is the German Association for the Protection of Intellectual Property and is so old, so venerable, that it has its roots in the 19th century German empire. Because the content of the green-coloured pages of its publications are so significant for the industry, IP lawyers in Germany are said to work in the “green” area of law. Judges, lawyers, professors – anybody who is anybody in IP is a GRUR member, including Ingve Stjerna. GRUR members congregate every September. They discuss IP law, indulge in a nice daytrip or two, hug each other and pay homage to themselves and their institution. The association likes to think of itself as the extended family of IP lawyers. “Suing the GRUR is like giving Father Christmas a kick up the backside,” said one Düsseldorf lawyer. But just that is what Stjerna did. It began with critical questions about a trademark dispute which GRUR had lost against the law firm Grünlaw (“Greenlaw”). GRUR even had to accept the deletion of its trademark “Grüner Verein” (“the Green Association”) and the costs ran to at least €12,800. Stjerna found it odd that the association would go after one of its own members and wanted to know more. But GRUR was evasive. Only when threatened with legal action did the association provide more comprehensive information. This was not enough for Stjerna, however. 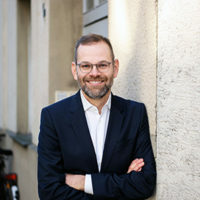 In early 2016 he filed a claim for more information under statutes governing the German Verein at the Local Court of Charlottenburg in Berlin – but lost. The judge ruled that the duty to provide information under the given circumstances only existed in the members’ assembly. That ruling is now final according to sources. But Stjerna did not give up after the first instance ruling. He called on the GRUR executive board to inform all members about the dispute with Grünlaw. In the end, Stjerna did this himself with an email to all GRUR members. The email’s attachment contained the correspondence between himself and the association – a total of 14 letters documenting the dispute. Even in international circles, Stjerna’s persistence in this matter raised eyebrows. “What was he thinking?” asked a British patent lawyer, dumbfounded. One Munich IP lawyer believes this suit heralded Stjerna’s exit from the mainstream of the IP scene in Germany. But what would motivate someone to do this? Stjerna was born in 1974 in Jugenheim. The small town close to Mainz is known for its sturdy but simple wines, but Stjerna himself seems a sober character. Rimless glasses, steady gaze, thin lips, crossed arms: on his homepage, the 43-year-old presents himself as a steadfast advocate for his clients, with only an orange tie providing a dash of colour. To the IP industry, he is someone who asks uncomfortable questions and who is dogged in his persistence. Stjerna does indeed exude a tenacious charisma. He is lean and not especially tall. Ideal for a long-distance runner. Indeed, former colleagues report Stjerna was a good athlete. His name even appears in the start list for the 2009 Düsseldorf marathon. He did his military service in a Black Forest paratrooper battalion, which is considered an elite unit. It is there where soldiers are taught to stand their ground – alone if necessary. As long as Stjerna gets along with you, say former colleagues, he is a nice guy. A pleasant conversationalist who explains facts clearly and precisely. If he feels he is being criticised or unfairly treated, however, Stjerna rarely strikes a balanced tone, his former colleagues say. 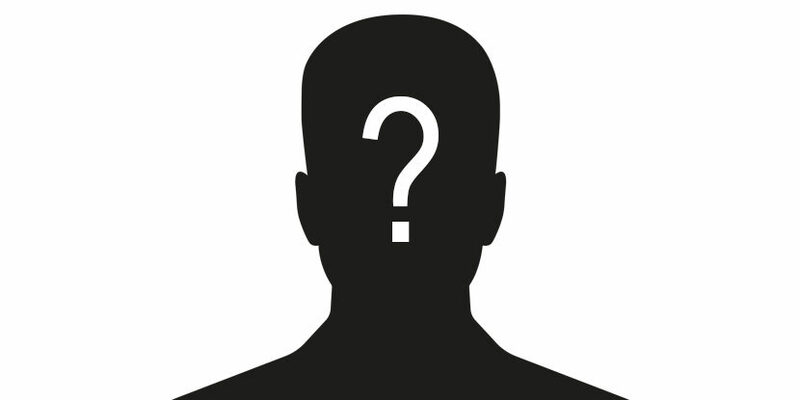 According to someone who knows him well, he has been frequently aggrieved in his professional life. “That’s partly down to his strong sense of duty,” says the source. GRUR has experienced this strong sense of duty first-hand but for several years now, it has been aimed in a different direction: the UPC. To be precise, Stjerna’s constitutional-law concerns about the project. The UPC was supposed to start in early 2018, despite the Brexit setback. But in June last year there came another blow: A complaint was filed at the Constitutional Court against the German legislation for implementing the UPC. The President of Germany does not want to sign the legislation until the judges in Karlsruhe have made their ruling. The fact that the project has been put on ice is making its advocates nervous, mainly because if the UPC is not up and running before the UK leaves the EU then the whole project will be brought into question. That there has been so little information from Karls­ruhe about the complaint is certainly not helping matters. For a long time, neither the name of the complainant nor the grounds for the complaint were public knowledge (see below: Fundamental Criticism). 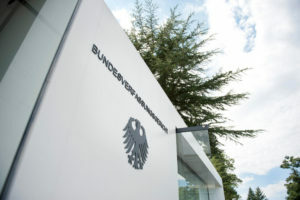 After much speculation, Stjerna was only revealed to be the complainant in September when the Constitutional Court called on 27 institutions to submit an opinion, including the Bundestag (Lower House of Parliament), the government, GRUR and the Bundesrechtsanwaltskammer (German Federal Bar Association). It turned out Stjerna is representing himself. The case has aroused enormous interest across Europe as to who Stjerna is. Patent experts in the US, UK and France are asking, who is Stjerna? Why is he doing this? The level of interest is not a reflection of his standing in the German patent litigation market, however. During his time at Simmons & Simmons, his former employer, he was listed as a recommended lawyer in the JUVE Handbook. But over the past two years competitors have rarely seen Stjerna in the courtroom. The sole practitioner now works from a house in the Düsseldorf residential suburb of Gerresheim. In response to enquiries from JUVE as to whether he is still active in patent proceedings and whether he could provide some examples of his current cases, Stjerna chose not to comment, referring instead to attorney-client privilege (under German law, lawyers can describe cases anonymously or name clients as references if they ask their permission). According to statements made by close acquaintances and patent attorneys who work with him, he primarily works on licensing issues and second opinions. His peers believe he must have invested a good deal of energy in his 160-page constitutional complaint. Stjerna has written 27 articles on the UPC and his exhaustive documentation, including English translations, underline his ability to immerse himself in meticulous details and, as one former colleague puts it, his “extreme levels of perseverance”. Stjerna has been publishing these documents on his website since 2012. Other lawyers – including even his critics – praise his “valuable collection” of articles. Initially he began by criticising details of the UPC, such as a lack of transparency in the EU’s legislative process, but two years later he publicly questioned for the first time whether the UPC is “compatible with the constitution”. The German patent community, however, was not listening. He regularly provides other lawyers with articles on the subject but some do not seem particularly grateful. “At some point I stopped taking his ideas seriously,” says one Düsseldorf patent lawyer. As time went on, Stjerna’s tenacity began to earn him a reputation in some circles as an eccentric. The closer the UPC came to opening its doors, the more German patent lawyers began to prepare for the new court and its rules. Most patent law firms are hoping the greater demand for advice at the UPC will boost business. Many industrial companies are also still in favour of the court. When so much of the industry is looking forward to the UPC, it is no surprise that a critic such as Stjerna and the project’s delay can be unwelcome. Not all German patent lawyers support the UPC project, however. Some fear the uncertainties a new system brings, while others share Stjerna’s legal concerns. Stjerna’s criticism of the UPC was not well received at his previous employer. Simmons & Simmons is regarded as UPC-friendly. The head of the international patent team is London partner Kevin Mooney, who is still playing a central role in bringing the court to fruition in the UK. The relation to the firm seemed to have become strained. Out­siders speculate that Stjerna’s critical stance towards the UPC may have been a contributory factor to his leaving the firm in 2015. Sources also pointed to differences of opinion at Stjerna’s previous employer, Düsseldorf boutique Reimann Osterreith Köhler Haft (now Hoyng ROKH Monegier). In both cases, none of the parties wished to comment. With his first employer Bird & Bird, however, Stjerna parted on notably good terms. “Opening his own practice was a natural step. Independence was always very important to him,” a former colleague says of Stjerna, adding that he was always very entrenched in his arguments and that “being open to other legal opinions did not come easily to him”. But another who has followed Stjerna’s career closely believes that his “treatment at the hands of his former employers may also have contributed to this decision”. Although some regard Stjerna as a difficult person, most lawyers praise his legal skills. “Without a doubt, he knows his stuff,” said a former colleague, while another emphasized his work was always meticulous. In his final years at Simmons & Simmons he successfully took the lead in several cases. Stjerna has also left his mark on academia. His dissertation on “Concentration Maxim in § 145 of German Patent Law” is still of some relevance today. Only a few weeks ago, the issue played a part in an infringement case between Qualcomm and Apple at the Regional Court of Mannheim. In 2008 Stjerna made the case that the maxim is unconstitutional. “He dealt with constitutional law early on in his career,” says a former colleague. For most patent lawyers, by contrast, the subject matter is far removed from their day-to-day client work. Many consider his UPC complaint to be not entirely unreasonable. “The complaint is obviously not without grounds, otherwise the Karlsruhe judges would have dismissed it long ago,” said one in-house expert. That said, most of the public opinions requested by the court in Karlsruhe, such as that of the Deutscher Anwaltverein (German lawyers’ association), are UPC-friendly. Still no sign from Karlsruhe: The European patent community has been waiting since spring 2017 for the German Constititional Court to rule on the Stjerna case. While Stjerna remains tight-lipped on the subject of his complaint, debate rages in the industry. The complaint has all the hallmarks of a lone warrior, claims one Düsseldorf litigation expert: “There is little coordination to the reasoning. Highly unusual arguments are pursued and expanded upon.” Some cite this as an indication that Stjerna has little exchange with his peers. But there is another possible interpretation, one which gives rise to a whole conspiracy theory. One Munich lawyer is convinced, “You don’t write this kind of constitutional complaint alone.” Did Stjerna, who has rarely been in the public eye of late, have help with his complaint? Some speculate that there might be others pulling the strings, from industry or the German patent scene, for example. Or is somebody paying him? Such conspiracy theories only fuel further speculation. Stjerna told JUVE, however, that he has received neither the support of third parties nor financial backing. According to close acquaintances, Stjerna simply wants clarification as to whether the UPC is compatible with the constitution. “He has a purely professional interest,” says a former colleague. “He is very good at identifying a problem, getting to grips with it and then bringing it to a close on his own.” A typical comment from those lawyers who admire Stjerna’s upfront approach. Sometimes, though, this manifests itself in unusual ways. Stjerna launched a lawsuit last year against one of his peers which was met with bewilderment in the Düsseldorf patent scene: In October, a lawyer in the city published a summary of the constitutional complaint and the current status of the proceedings in Karlsruhe on his law firm’s IP blog. Stjerna has filed a complaint against the lawyer and patent attorney at the Düsseldorf bar association and the Institute of Professional Representatives before the European Patent Office. The complaint alleges that the article infringes upon the copyright protecting Stjerna’s court submission. Furthermore, Stjerna also alleges that the defendant breached his obligations as a lawyer by passing on confidential information. Stjerna refused to comment on the case. Most patent experts are critical of the perceived inherent contradiction in this stance. The fact that Stjerna is calling for more transparency from the UPC bodies grates with the fact that he has, for the most part, kept quiet about his own complaint. “A more open academic discussion would be welcome,” says one Munich lawyer. But on the other hand, why should he discuss it now, when the patent industry has rejected discourse with him for years? Statements which Stjerna has made to JUVE suggest he probably regards his reticence on the matter as consistent with his stance. After all, the legal reasons for his complaint are detailed in his own comprehensive documentation and the complaint itself. Why should he say any more? “Stjerna is being unfairly demonised,” says one Munich UPC advocate. “It is his absolute right to raise constitutional concerns. Better now than in ten years when the UPC is already up and running.” And if Stjerna’s complaint is successful, the UPC’s movers and shakers will have to take a long hard look at themselves. They had a long time to discuss Stjerna’s criticisms and make improvements, but instead many chose to dismiss the Düsseldorf lawyer as just a bothersome, argumentative outsider. 2003 to 2005 Articles with stints at the European Patent Office and the 2nd Civil Senate at the Higher Regional Court of Düsseldorf. The Federal Republic of Germany would relinquish more sovereignty than is compatible with the claim to democracy (Article 38, Paragraph 1, Clause 1 of the German constitution (Grundgesetz)). Breach of requirement for a qualified majority under Article 23, Paragraph 1, Clause 3 in conjunction with Article 79, Paragraph 2 of the German constitution. Democratic and legal deficiencies with regard to the legislative powers of the UPC bodies. Lack of independence and democratic legitimation of the UPC judges. Violation of the principle of pro-European law due to alleged incompatibility of the UPC Convention with Union law.